A Dino-Mite Movie Morning at the Moncrieff Entertainment Centre has raised valuable funds for the Bundaberg Hospital Children’s Ward. 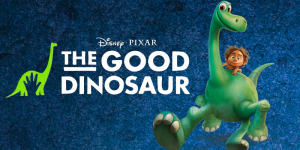 The fun-filled morning organised by Moncrieff Entertainment Centre in January, partnered with Bundaberg Regional Gallery, Bundaberg Regional Library and Pauline from Frivolous Faces to include a range of activities for children, followed by the screening of the film The Good Dinosaur. Bundaberg Health Services Foundation manager Maria Burnet said the morning was a great success raising $1056 and the theatre was nearly at capacity. “The money will be used to purchase non-government funded medical equipment for the paediatric ward and we are very grateful to the Moncrieff Entertainment Centre for organising this opportunity for the community to contribute to our fundraising efforts, and in such a fun way,” she said.